Learn while you Sleep! Apr 01, 2015 Struggling to find time to study for that Diploma? Polls* by ADL suggest that most potential students are put off by a lack of time available to learn.&nb..
Aromatherapy course online. Master the basics in aromatherapy! A great course for anyone wishing to learn more about the safe use of aromatherapy essential oils for healing and relaxation. 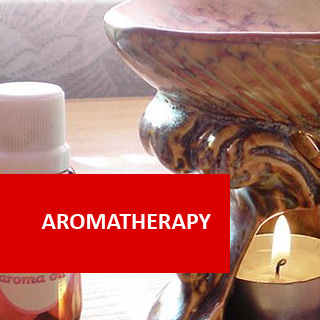 This course provides an introduction to the safe use of Aromatherapy oils. Give the scientific names of ten different plants from which essential oils are derived. Give a brief summary of your knowledge of aromatherapy and essential oils. 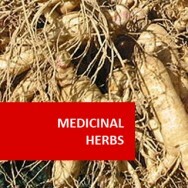 Understand how herbs are promoted to the public in order to sell them. Write an essay on the history of aromatherapy and essential oil use. Suggest different blends that can be used for treating a head cold. Understand the use of aromatherapy for children.- List a range of oils that would be considered safe to use for children. Write a short essay on ways in which essential oils can be used. Understand the use of essential oils on animals. List a range of types of vegetable oils appropriate for use in massage and indicate what types of skin the oils are good for. Explain how oils enter the body and how a carrier will assist with this entry. Submit the bath oil blends from a Set Task along with instructions on how to use them in the bath and what conditions they are good for. 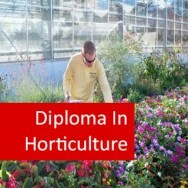 Understand why some herbs tend to be collected in the morning, some before flowering, some during flowering, and others at various times of the year. What impact does this have on the essential oil? From catalogues collected, explain why some oils cost more others. Discuss different methods of oil extraction and list their benefits and disadvantages. 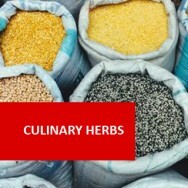 Compile a detailed costing for processing herb materials to produce essential oils. List a range of essential oils that are not safe for use in aromatherapy. Discuss how essential oils can be used safely and ways in which they should not be used. Understand which essential oils may not be safe for use during pregnancy. There are two ways that essential oils can enter the body and begin to work therapeutically. These are through inhalation and through absorption into the blood stream. Scents are wonderful things. The smell of a scent familiar to us in childhood can bring a warm, comfortable feeling over us. Just the smell of food will often bring on feelings of hunger. To understand how smell works and how it causes these types of reactions, we must take a quick look at what occurs when we breathe. When we inhale, we not only take in oxygen, but also molecules which excite the cilia, or tiny hairs, in the nasal passage. These cilia react to the scent that they have received and send a message to the hypothalamus, or the control centre of the brain. The hypothalamus controls the body and its reactions through the electronic impulses it sends to the nervous system. The nervous system then reacts by creating a response, either physical or via a change in the amount and type of hormones sent into the blood stream. Essential oils can also enter the body through the skin. The molecules of the oil are normally small enough to enter the outer layer of skin through sweat glands and hair follicles. Once it is beyond the outer layer, it reaches the dermis, which is a fat layer. Essential oils are fat soluble, or able to dissolve in fat, so upon reaching the dermis, they are further broken down and absorbed into the blood steam. Once in the blood stream, they react with the cells in the blood much as a hormone reacts, by clustering with certain cells and causing the cells to react. The essential oil molecules also react with the lymph, which is the system that carries impurities out of the body. When essential oils are applied to the skin in a proper manner and in the correct dosage while also using a carrier oil, lotion or cream, the reaction that results in the blood stream is beneficial. However, if a dosage is too high, or applied incorrectly, it can cause discomfort or irritation. This irritation occurs most commonly as a skin reaction, especially if the essential oil is applied too thickly (ie. directly applied without a carrier) and cannot absorb into the skin. These reactions are generally short lived and have no long term side effects, but they are unpleasant. All essential oils are not the same. The quality differs between different brands, and as a result, the quantity needed to be effective also differs. A well experienced nose is the first way of ascertaining the quality of oil. When you have used essential oils on a regular basis, and sampled all different brands, you will likely be able to determine, on smell, the quality of oil. But in the meantime, the best way to determine the usage rate is to follow the label instructions. This should contain detailed information on the number of drops to use. A dosage allowance of 6-8 drops of oil per day for a full grown adult is considered the top dosage required for really high quality oil. When selecting your oils, check the dosage recommended. You may find that the less expensive oil recommends a much higher usage rate, which is a sure indication of the quality of the oil. 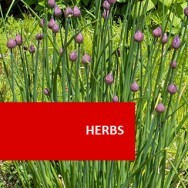 Is it a pure essential oil - Essential oils can be used, diluted with a carrier, on the skin and through inhalation. Fragrant oil will smell very much like an essential oil, but is usually blended with other "fillers", so will not have any therapeutic effect. Some oils are also packaged as essential oils when they are really essential oils diluted with carrier oil. These types of oils can be used on the skin, but won't need to be blended with a carrier, and they are not for use in an oil burner. A good case in point is Rose oil. The number of rose petals required to make pure Rose essential oil -also called Rose Otto, makes the price prohibitively expensive at about $150 for 3ml. It is not uncommon to find Rose oil on the shelf at a much cheaper price. On closer inspection of the label however, it is often found that either the oil has been diluted – for example 25% rose oil in a jojoba carrier or it is actually a fragrant rose oil. Pure rose oil, in the bottle, is quite a strong, even verging on unpleasant smell. What does it smell like - reputable suppliers, both wholesale and retail, will have a sample of the types of oils they sell, as well as the different brands. Smell and compare. The stronger the smell in the bottle, the better the oil is likely to be in overall quality. As mentioned above, the amount of oil used for an adult, using high quality oil is 6-8 drops of oil per day. When blending a bottle of lotion, cream or carrier oil, the rate used should be approximately 3 drops per 10ml of carrier. A person using 3 drops of oil in a bath, 4 in an oil burner and 2 applications of a lotion in the dilution detailed above, would be receiving about 8 drops of oil in a day. This is a good way to explain synergy. In aromatherapy, a treatment using a blend can be far more beneficial than using one oil exclusively. Look at lavender, for instance. 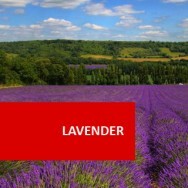 Lavender is renowned for relaxing and insomnia. However, using lavender for these problems can be treating the symptoms without treating the cause. If a person is having trouble relaxing due to anxiety or tension, then a blend of Clary Sage – balancing, Sweet Marjoram relaxes muscle tension and lavender – calming would, on the whole, be more beneficial than lavender alone. The relaxation may more be a result of depression, in which case Sandalwood - grounding and relaxing peppermint - mental fatigue, and lavender would be needed. While you may not be a trained therapist, it is worthwhile, for home use, to try to look beyond the symptoms and ascertain what the cause may be. This will help you in determining the best blend for use. Keep in mind, though, that the number of drops used will not increase with a blend. Most adults will need to use 6-8 drops of the blend which is 2 drops of each.